It’s easy to make this Mexican classic in your own home! 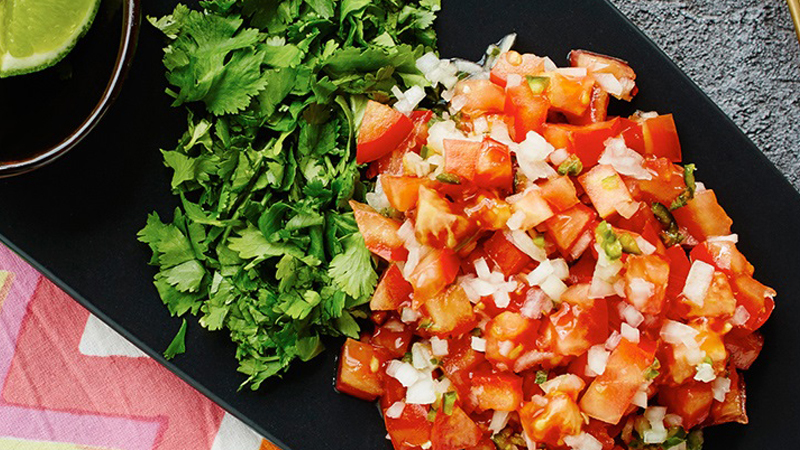 Just combine your salsa ingredients and set aside for a few hours to bring out those zesty salsa flavours. Finely chop the tomatoes and coriander (stalks and all) and place into a large bowl. Add onion and chili and mix well. Add lime juice, olive oil and season to taste with salt, pepper. Can be served just after making or cover and set aside for a few hours to let the flavours develop.